← Nobel Prize roundup: It’s all about the optics! Heinecke has been a long-time advocate for kid-friendly science experiments, and runs the very nice blog The Kitchen Pantry Scientist, where she describes experiments that can be done safely at home with ingredients that can be found, of course, in one’s kitchen pantry! She has also produced a mobile app, KidScience, which provides convenient multimedia descriptions of a set of home experiments. In full disclosure, I’m friends with Liz, having first met her at ScienceOnline, the long-running online science communication conference. I even have a small contribution in the book, having introduced her to the Kaye effect, which I’ve blogged about previously. As is her specialty, Liz made the experiment even easier to do, though she graciously included a description of my technique, as well. 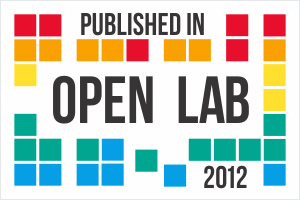 I can personally attest to how fun the experiments are! This Spring, based on Liz’s suggestions, I put together a “Kitchen Pantry” demonstration table at the UNC Charlotte Science and Technology Expo. The table was a hit, and drew consistent crowds for the duration of the event. 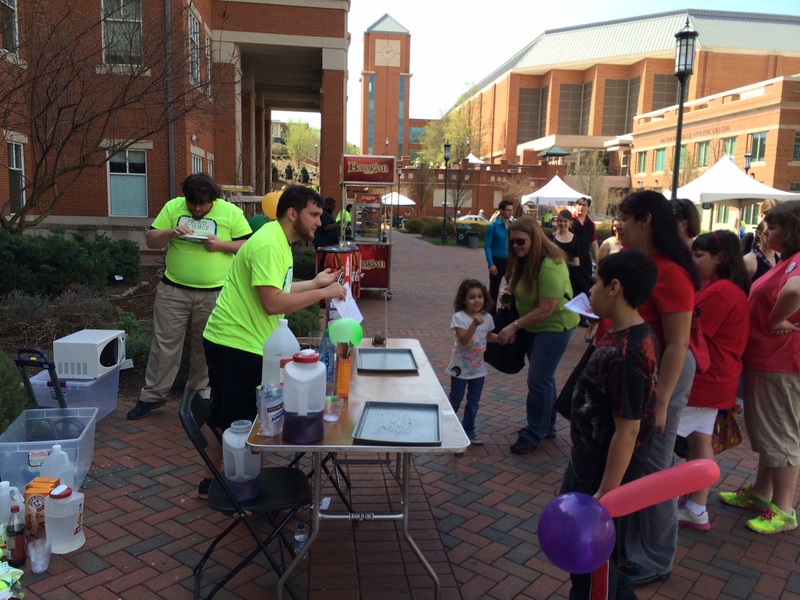 Students performing some kitchen science at the Expo. 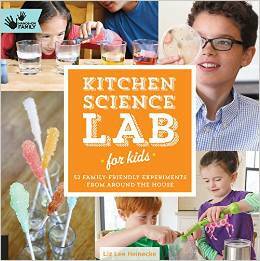 Kitchen Science Lab for Kids gives a thorough description of each experiment. 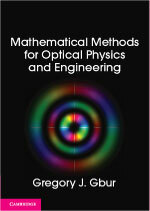 It includes a list of materials, a detailed protocol, and an explanation of the science behind the demonstration. The collections of experiments are well-organized and often connect to each other, giving the inquisitive student a path through the book. It is worth noting that although the experiments are designed to be safe, some of them still require some adult supervision. It is hard to do science without occasionally heating things up or potentially making a mess! In summary: a really great book! I feel that I’ve gained a lot of insight into making science kid-friendly from reading it, and I imagine a lot of parents will find it a fun and educational resource for their children.